According to the American Heart Association, the American Medical Association, and other scientific sources, obesity is now considered a disease. With this official classification, insurance companies are recognizing obesity as a disease as well, which means you may get the financial assistance you need for bariatric surgery. Bariatric surgery insurance coverage is possible, but you will need to make sure you’ve taken all of the necessary steps to qualify, prior to surgery. In the past, bariatric surgery has been difficult to finance. The cost of the procedure has been a barrier that has kept many away from even considering weight loss surgery as a tool to overcome obesity. However, thanks to the Affordable Care Act and the classification of obesity as a disease, the door has been opened to improved insurance coverage for weight loss surgery. You may find that your procedure will be completely covered if you meet the required criteria. In most cases, you will need a doctor’s recommendation for the procedure. In general, insurance companies approve bariatric surgery if you have a BMI that is over 40 or over 35 if you have serious health complications brought on by your obesity and you will have to prove that you have been obese for an extended period of time. At least two years is a general rule of thumb. You will also need to prove that you have made serious efforts with the help of a physician prior to seeking bariatric surgery. An additional requirement is that you will need to be healthy enough to undergo bariatric surgery before you can even consider it as an option. You must prove that you are able to see your way through the long journey that is only beginning after bariatric surgery. Insurance companies may want you lose an initial amount of weight before you undergo the procedure. After the procedure, you’ll be restricted to a liquid diet for some time. Gradually, your diet will change to soft foods that are easily digested. It will be a long time before you can finally eat a wide selection of foods, but you will still have to learn about portion control and pacing yourself. Otherwise, you are likely to find yourself struggling to keep food down. You will also need to become active. Your bariatric surgeon and your insurance company will want to make sure that you are prepared for these lifestyle changes before moving forward with weight loss surgery. Bariatric surgery is a personal decision. Many insurance companies will cover the main procedures, which include gastric sleeve, gastric bypass, and lap-band. Each procedure is intended to help you gain control of your weight by limiting the amount of good that you take in throughout the day. Bariatric surgery requires portion control and smaller amounts consumed at each meal because it reduces the size of your stomach. You can choose a procedure that is only a temporary measure or you can choose a more drastic solution. Your bariatric surgeon will be your guide as you navigate the many decisions involved in weight loss surgery. The lap-band is the least invasive of the options available and is reversible. An adjustable, medical-grade band will be placed at the upper portion of your stomach and will restrict the amount that you can eat in one sitting. A gastric bypass involves surgical alteration of your stomach by forming a small pouch at the upper part of your stomach, meaning less food can be taken in at each meal. The most extreme option is the gastric sleeve. Your surgeon will actually remove an extensive portion of your stomach, leaving behind a “sleeve” that only allows you to consume small amounts each time you eat. Bariatric surgery changes how much food it takes for you to feel full and in turn, dramatically reduces the calories you consume. If you add exercise to these dietary adjustments, you are more likely to see the results that you have always wanted. You may be able to reach your weight loss goals through bariatric surgery insurance coverage. 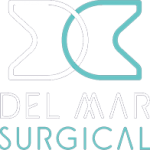 Contact the team at Olde Del Mar Surgical to learn more about your options for bariatric surgery insurance coverage for your procedure. Our insurance specialists will be your advocate with your insurance company. 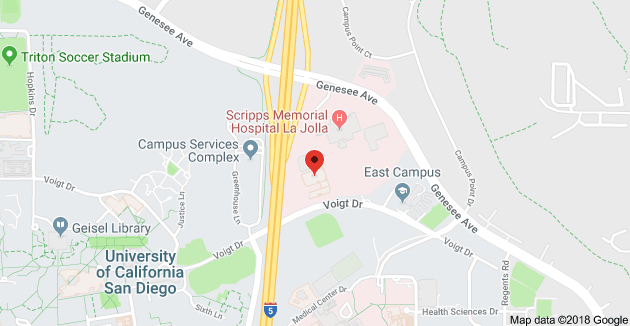 Give us a call at 858.457.4917.